Musician entrepreneur Albert Dadon (stage name Albare) has dedicated his career to jazz in its contemporary variations and was known as a pioneer of Acid Jazz in Australia in the early 90s. Since then Albare has immersed himself in the Jazz art form and was instrumental in popularizing jazz in Australia in recent years. He is the founder and Chairman of the Australian Jazz Bell Awards (National Awards), was chairing then directing the Melbourne International Jazz Festival from 2000 until 2008, when he handed over the reins of the Festival to Michael Tortoni. More recently Albare has released three studio albums (After the Rain 2009, Travel Diary 2010, and Long Way in 2012) and has just finished a new recording in New York which will be released later this year. Having toured extensively across three continents: Europe, United States and Asia, Albare returns home to perform the tracks of his sixth full length release, Long Way. 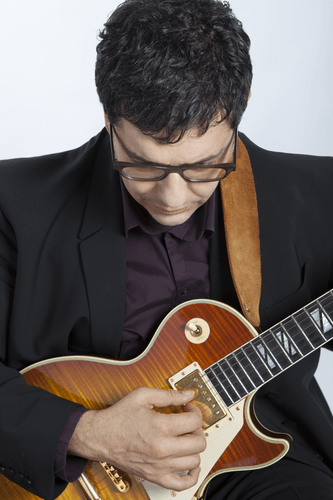 Recent critical praise has seen the guitarist's recognition growing internationally with his latest album Long Way staying in the US top 50 jazz charts for 20 consecutive weeks. The credit for taking Albare global goes to Matthias Winckelmann founder of Enja records and the producer of Long Way. "Our encounter," says Albare "was a life changer as I went instantly from playing locally in Australia to the international stage." The popularity of Long Way stems from the melodic tunes and sticky rhythms performed by the guitar virtuoso, and the world-class international quartet of drums, piano and bass accompanying him. When it comes to live performances, Albare draws his line ups from a wealth of first class international musicians. His performances back up the album's success.